The Hummingbird T-Shirt has been crafted from locally knitted viscose jersey, with a contrast red chiffon collar and single buttoned back. This elegant piece sharpens up a casual look and works beautifully worn with any of our Winter season pieces. 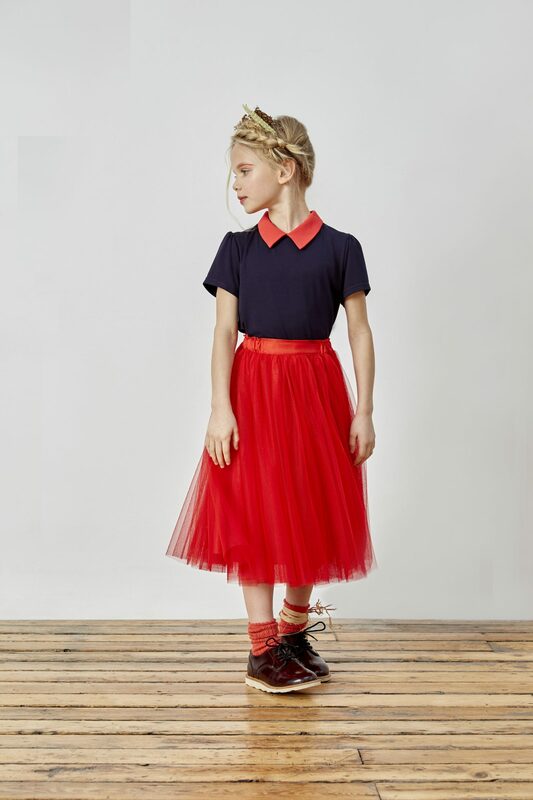 We especially love the Hummingbird T-Shirt paired with the Firefly Tulle Skirt – a sassy look for all seasons and occasions.